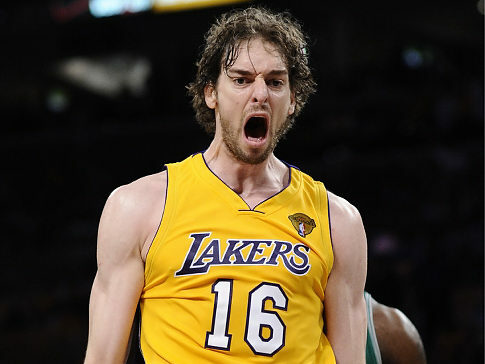 Lakers forward Pau Gasol will become an unrestricted free agent for the first time in his 13-year career starting July 1. It’s a pretty accomplished career, too, by NBA standards. It’s a career that includes winning Rookie of the Year, All Rookie 1st Team, All-NBA 2nd Team, back-to-back championships and All-NBA 3rd Team in ’09 and ’10. The Lakers have benefited tremendously from what the European star has brought to the forefront: his length, ability to score the rock, pass the rock, his IQ – the whole nine. He’s definitely one of the top power forwards in the game today. Gasol’s 2013-14 season ended early. His bout with vertigo kept him sidelined the last few weeks of the season. When he was in the lineup, Gasol produced his typical numbers: 17.4 points, 9.7 rebounds and 2.4 assists while shooting 48 percent from the field.